Mississippi Supreme Court Chief Justice Bill Waller Jr. will speak at 11 a.m. May 28 in Batesville during the Memorial Day program at the Veterans Memorial in the town square. 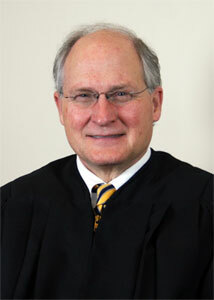 Chief Justice Waller, of Jackson, has served on the Mississippi Supreme Court since January 1998. He became Chief Justice in January 2009. Chief Justice Waller has worked to bring various reforms to the legal system, promoting fairness, efficiency and access to justice. He pushed for improved access to the courts for the poor, calling for civil legal clinics to be held within reach of every low-income resident. He worked for statewide expansion of drug courts. All 22 circuit court districts have drug courts. More than 3,600 people are enrolled in these rehabilitative programs. He also continues to work to expand electronic filing. The Supreme Court, Court of Appeals and more than 80 state trial courts utilize Mississippi Electronic Courts. He received his bachelor’s degree from Mississippi State University in 1974 and his law degree from the University of Mississippi in 1977. He practiced law with the firm of Waller and Waller in Jackson for more than 20 years. He served as a municipal judge for the city of Jackson from 1995 to 1996. He has more than 30 years commissioned service in the Mississippi Army National Guard and the United States Army Reserve and is presently assigned to the Retired Reserve. Waller is a graduate of the U.S. Army War College and a recipient of the Legion of Merit. He attained the rank of Brigadier General while serving as the Commander of the 66th Troop Command, Mississippi Army National Guard. As a Captain, he commanded the unit in Batesville 1981-1984, which was then organized as Troop B, 1/108 Armored Cavalry.